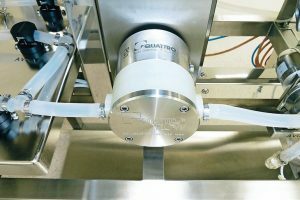 The requirements to be met by designers and operators of filling systems for the pharmaceutical industry are invariably high. If the production facilities are located in exotic countries, they frequently also have to fulfil special requirements, for instance in order to take account of tropical conditions. 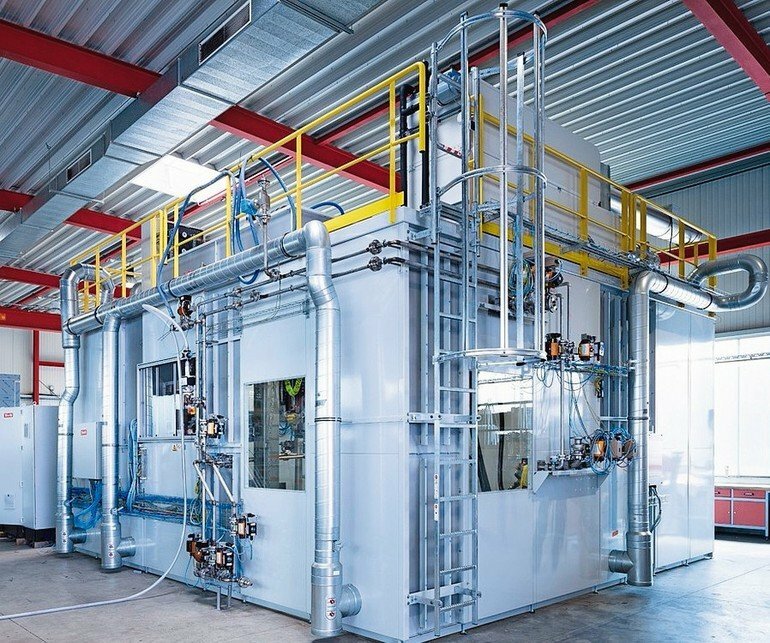 The construction of a cleanroom filling system in Malaysia was hence a particular challenge in many respects, which SMB International was happy to accept on behalf of a large German chemical group. As a leading manufacturer of filling systems, SMB develops line and pallet filling systems, single-station filling systems and special filling systems for dangerous goods, amongst other things. A distinction is made between fully and semi-automatic systems for stationary or mobile use. 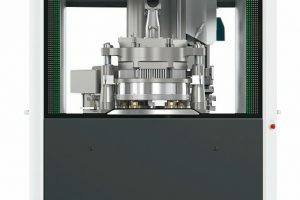 With fully automatic systems, the operator simply selects a stored product data set on the control panel and monitors the machine; everything else runs automatically. 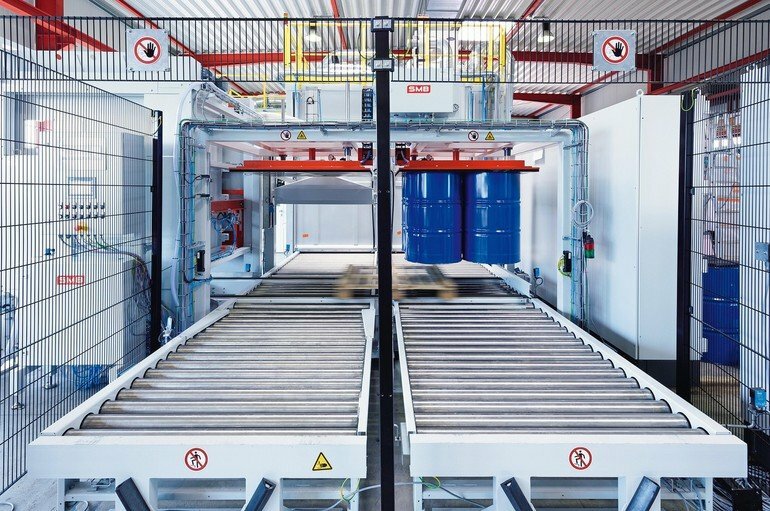 No matter how diverse customers’ requirements are, SMB – a manufacturer of complete customised machines and systems headquartered in Quickborn, Germany – can provide a complete system for almost any application thanks to a wide range of coordinated system modules. 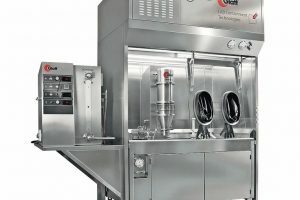 In the example described here, the customer needed a filling station for essential oils in the pharmaceutical sector with a filling capacity of 30 drums per hour. 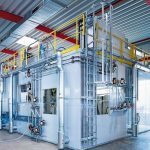 The cleanroom filling system needed to be planned and implemented for explosion protection and Atex certification. The entire system was planned, designed and installed strictly in accordance with GMP guidelines. GMP (good manufacturing practice) defines the requirements to be met by manufacturers of medicinal products. In the same way as with cosmetics and food, quality assurance across the entire process is indispensable in the manufacture of medicines and their active ingredients. In addition to ensuring product quality, GMP-compliant quality management has to fulfil the binding requirements of the responsible health authorities. Consistent documentation and constant checks are therefore vital during both the manufacture and the installation of the production system. 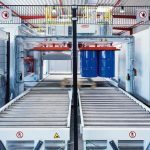 Another requirement specified for the conveyor system was that instead of the formerly used lifting chain conveyor, laterally movable roller conveyors should be integrated, so that the pallets could also be moved sideways for regular cleaning. Last but not least, the special conditions at the system’s future location had to be considered at the planning stage. The engineers who designed and built the system in northern Germany needed to take account of the tropical climate in Malaysia. Even though actually operating the system is not particularly challenging thanks to the installation of air-conditioning systems, the heat and high humidity prevailing there were a problem during transportation. A high share of the system was planned, manufactured and assembled in-house at the Quickborn plant. In particular, the solutions to enable reliable cleaning and disinfection had to be customised. All steps were closely documented in line with GMP requirements. Before the system was shipped to Malaysia, a factory acceptance test (FAT) was performed in Quickborn. In Malaysia, SMB’s own technicians then ensured its timely installation and commissioning.